Domino PlaySpace is an online and mobile version of the classic multiplayer board game Domino. Folks from The United States of America, Canada, The United Kingdom, and Europe can play Domino PlaySpace for free or real money when they sign up through an OnlineBlingo.com banner or link. 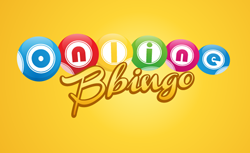 Domino PlaySpace is not a USA Online Bingo game but we have decided to add other social games to The OnlineBlingo.com review website. Invite your friends and family to play Domino PlaySpace on Facebook or play them on your mobile Smartphone or tablet. Enjoy playing for free or real money (buying chips and coins) and win prizes and get grandiose achievements, which you can share with your friends and family. The top ranked players every week will earn individual awards and keep them or share them on Facebook with friends and relatives.